When you’re facing mercenaries who want to kill your daughter? An alien predator who hunts humans for sport? A television game show host who wants to play for blood? Who do you call? McBain! 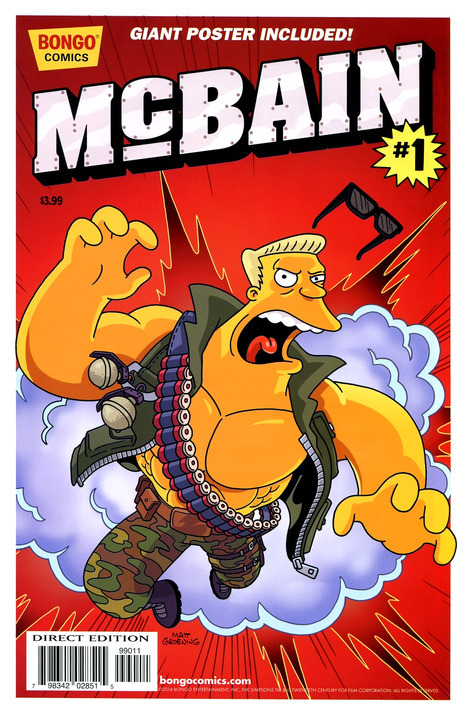 McBain #1 is the latest of Bongo Comics’ Simpsons One-Shots, and it plays with the conventions of what makes a comic in appropriately larger-than-life ways. In order to review this comic, it is important to look at the two defining characteristics of this edition: the story, and the presentation. Click below to read the rest of the review.